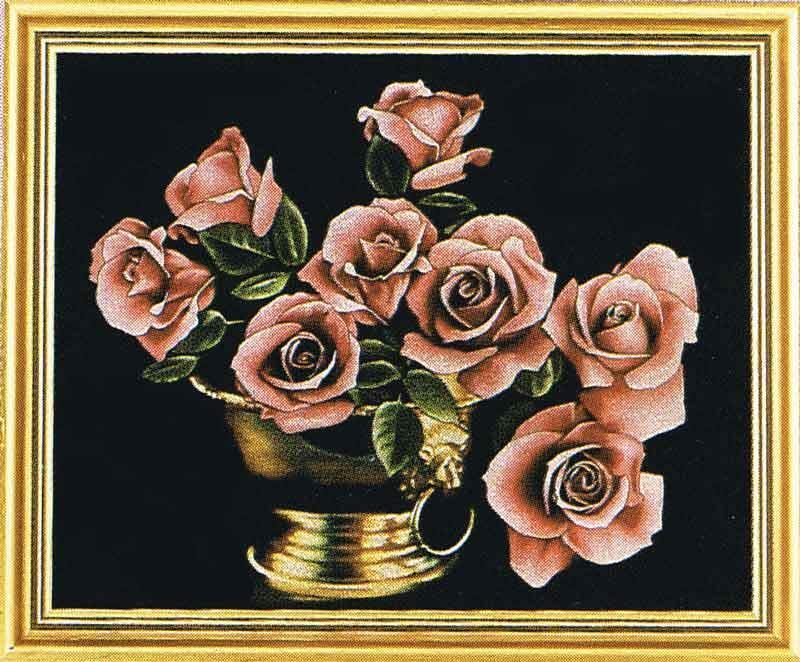 Beautiful pink roses show up brilliantly on the black velvet. Requires colours: 1, 3, 9, 67, 72, 73, 82,85. The black velvet really makes it magical. Measuring 53 x 45cm.